With today's update for PowerApps, you will find something interesting happening in the formula bar. While typing expressions, syntax highlighting displays different colors depending on the category of terms. This feature is meant to help you understand long formulas and improve readability of expressions. Here are some samples and color codes for syntax highlighting. So far, connections only displayed the name of table in the 'Data souces' pane. It was not intuitive since you could forget what connection it was. In this new design, we replaced the universal icon with the actual connection icons. Connections with data entities now show the name of table and connection name. 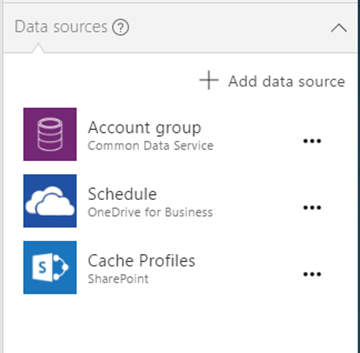 More improvements to the 'Data sources' pane are on their way. Please engage with us and let us know your thoughts via our forum.